At the 2017 Hannover Messe exhibition, NORD DRIVESYSTEMS will present two new gearboxes for nominal torques of 15 and 20 kNm. With these latest additions to the line-up, the series now comprises 11 gearbox sizes that deliver output torques up to 250 kNm. The NORD industrial gear series offers a particularly great variety of configuration options for application-specific drive solutions. 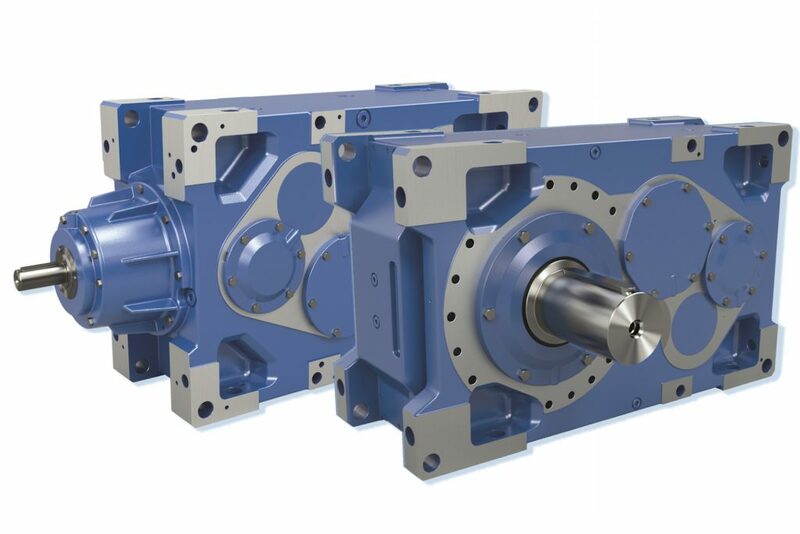 The modular NORD product range includes dual-gear setups, auxiliary drives, brakes, torque arms, backstops, swing bases, and – as the latest special feature – extruder flanges. In addition, there are a variety of sealing options and solutions for monitoring and temperature management. The gear units can be mounted on all six sides. Gear ratios can be configured in fine increments from 5.54 : 1 to over 30,000 : 1 – with two, three, or four gear stages, and with an auxiliary primary gear stage if so required. All NORD industrial gear units feature a single-piece UNICASE housing. This ensures excellent longevity, a very high power density, compact dimensions, and high overload capacities. Combining industrial gear units with motors and drive electronics, NORD configures complete drive systems for heavy-duty operation in conveying systems, pumps, and agitators. Designated major application fields for these units include bulk handling, the cement industry, steel industry, process engineering, woodworking, sugar processing, and wastewater management.